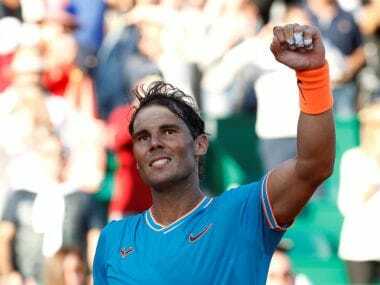 Paris: With the world's top five occupied by players over 30 for the first time, Rafael Nadal is poised to tighten the old guard's Grand Slam grip by capturing an unprecedented 10th French Open. 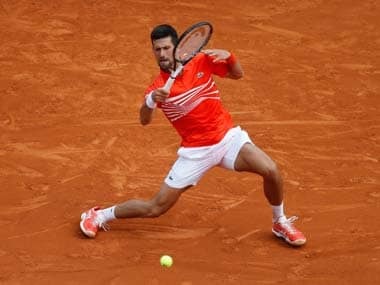 The Spaniard, written off as a contender in Paris after a quarter-final loss to Novak Djokovic in 2015 and an injury-enforced pull-out before the third round last year, arrives at Roland Garros as the overwhelming favourite. The 30-year-old has already reached the magical 10 titles this year at the clay-court events in Monte Carlo and Barcelona. For good measure, he also won Madrid for a fifth time, ending a two-year seven-match losing streak against Djokovic in the process. Nadal boasts a sensational career record at Roland Garros -- 72 wins and just two defeats, to Djokovic in 2015 and an injury-affected shock loss to Robin Soderling in 2009. That defeat to the Swede opened the door for Roger Federer to win his only French Open title. However, Federer, at 35, is skipping the French Open to save himself for an assault on an eighth Wimbledon. 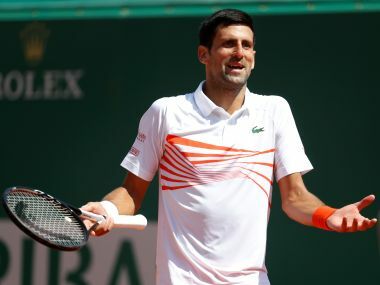 Djokovic, the defending champion in Paris, and world number one Andy Murray are struggling for form ahead of the tournament which starts on Sunday. "You have to write what you have to do, but I don't care," said Nadal when asked about his status as favourite. Nadal has also thrived on hard courts in 2017, reaching his first Slam final in three years when he lost in five sets to Federer in Australia despite being a break to the good in the deciding set. He was a beaten finalist against Federer in Miami while his title triumph in Madrid gave him a record-equalling 30th Masters title to add to his 14 majors. Nadal's record on clay against the world's top two is also heavily-weighted in his favour -- 8-2 against Murray (2-0 at Roland Garros) and 10-5 when facing Djokovic (5-1 in Paris). The Spanish star will open his campaign against combustible Frenchman Benoit Paire, a man he described "as not the ideal opponent" first up. Djokovic will have US legend Andre Agassi as coach for the first time. Djokovic completed the career Grand Slam at last year's French Open when he also held all four majors. 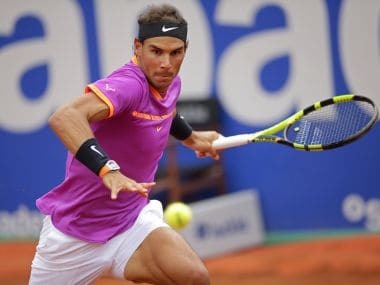 On clay this year, he has at least been on an upward curve -- quarter-finals in Monte Carlo, semi-finals in Madrid and a runners-up spot in Rome where he was demolished by Alexander Zverev. Djokovic's relationship with the 47-year-old Agassi, an eight-time major winner, is limited, for the moment, to just the French Open. "Andre has been in my shoes before playing Grand Slams, being the best in the world, and facing all the challenges that are present," explained Djokovic. Agassi said that he initially turned down Djokovic's approach, but was persuaded by his wife, Steffi Graf, to change his mind. Murray, defeated by Djokovic in the 2016 final, has endured a wretched season with an elbow injury and bouts of illness not helping. 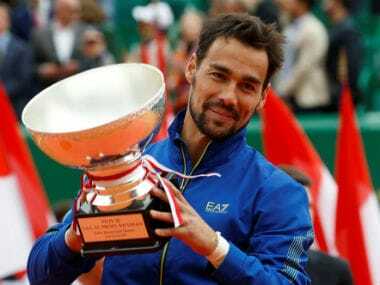 He lost in the third round in Monte Carlo, made the semis in Barcelona, was again a third-round loser in Madrid before an defeat in his first match at Rome to Fabio Fognini. "I need to accept that I'm struggling and then find a way to get through it. I will get through it," insisted Murray, who had his best year on clay in 2016 but who has now failed to reach a final in his last five events. The British star begins against Russia's Andrey Kuznetsov and could face dangerous Juan Martin del Potro, who is playing Paris for the first time in five years, in the third round. Should the likes of Nadal, Djokovic and Murray falter, then the much-hyped #NextGen, featuring the likes of Zverev and 2016 semi-finalist Dominic Thiem could take advantage. In Rome, Zverev, 20, became the first player born in the 1990s to win a Masters title.